Properties in Campeche Library average 4.2 out of 5 stars. CASA MALECON, SEA FRONT WITH BEAUTIFUL VIEWS TO THE OCEAN, A PLACE TO ENJOY. Property 9: CASA MALECON, SEA FRONT WITH BEAUTIFUL VIEWS TO THE OCEAN, A PLACE TO ENJOY. Luxury & comfort. Colonial House 200 yo restored,high ceiling,pasta tiles, pool. Property 11: Luxury & comfort. 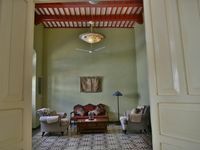 Colonial House 200 yo restored,high ceiling,pasta tiles, pool.